But before i make any comments about the look of the car, let's start with the engine and everything that makes the car actually drive. It has a 6.3 liter V12 engine joined by an electric motor for an overall power output of 963hp and over 900Nm (664lb/ft). Both are connected to a seven-speed DCT gearbox that drives the rear wheels. The V12 engine alone produces 800cv @9000rpm (redline 9250rpm) and 700Nm (516lb/ft) @6750rpm, while the electric motor helps the supercar with 163hp (120kW). CO2 emissions average 330g/km. To power the electric motors there's a lithium-ion battery sourced by Samsung. 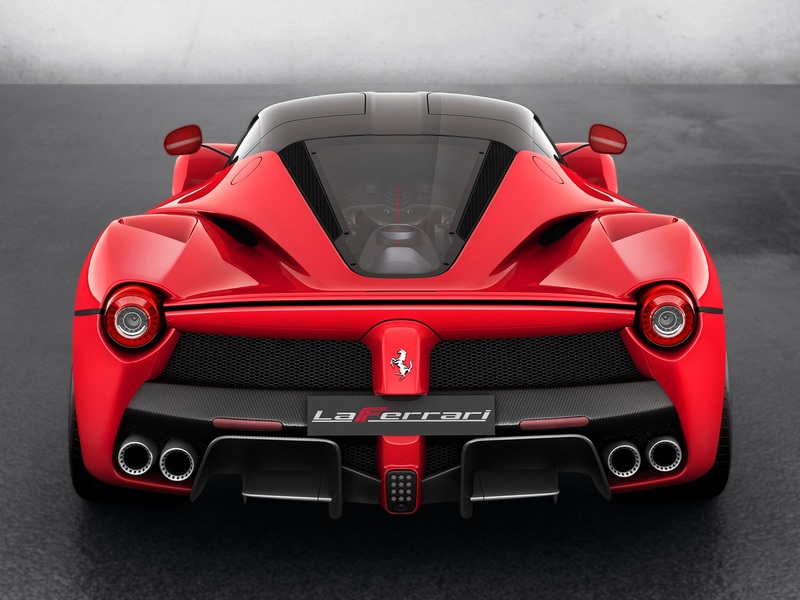 Ferrari didn't reveal specific values for the performance, they only said it has a top speed over 350km/h (217mph), will accelerate from standstill to 100km/h (62mph) in under three seconds, to 200km/h (124mph) under seven seconds and will reach 300km/h (186mph) in 15 seconds. 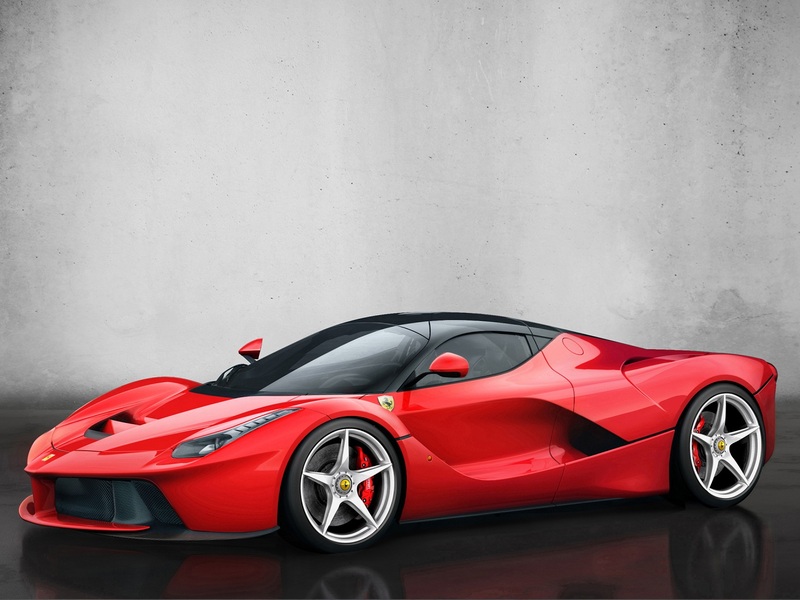 The "La Ferrari" has a length of 4702mm (185.1"), a width of 1992mm (78.4"), a height of 1116mm (43. 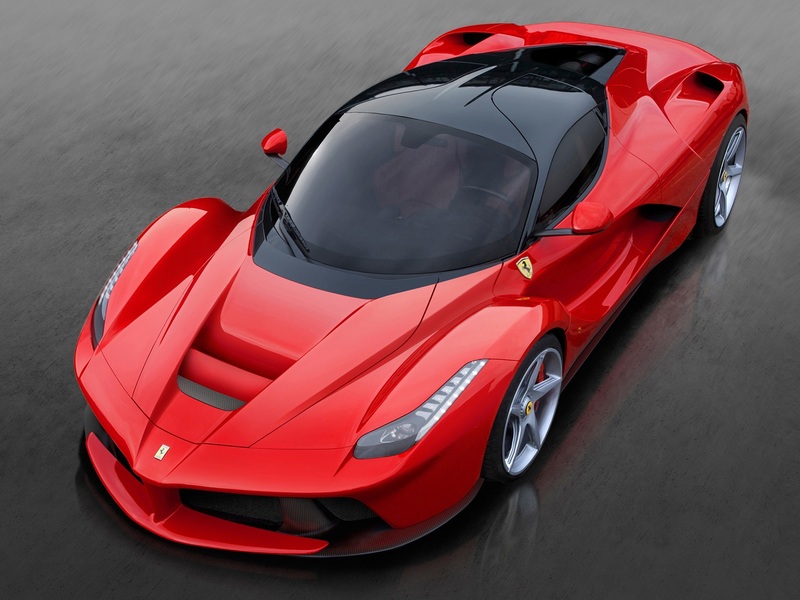 "9) and a wheelbase with 2665mm (104.9") for a weight distribution of 41% in the front and 59% in the rear. 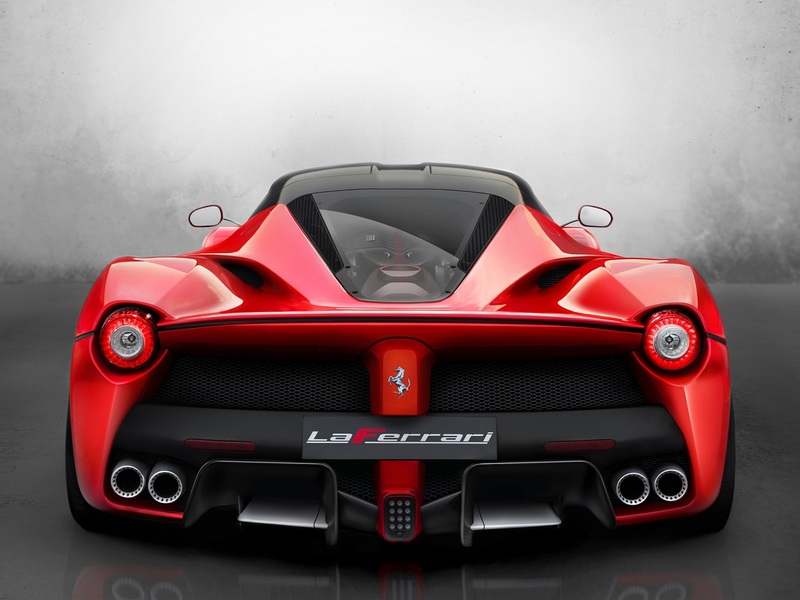 Some of the main features are the new hybrid system (HY-KERS), that has 2 electric motors, one mated to the petrol engine and another used to power auxiliary devices, and a new carbon fiber monocoque that has 27% more torsional rigidity and 22% more beam stiffness in comparison with the Enzo. 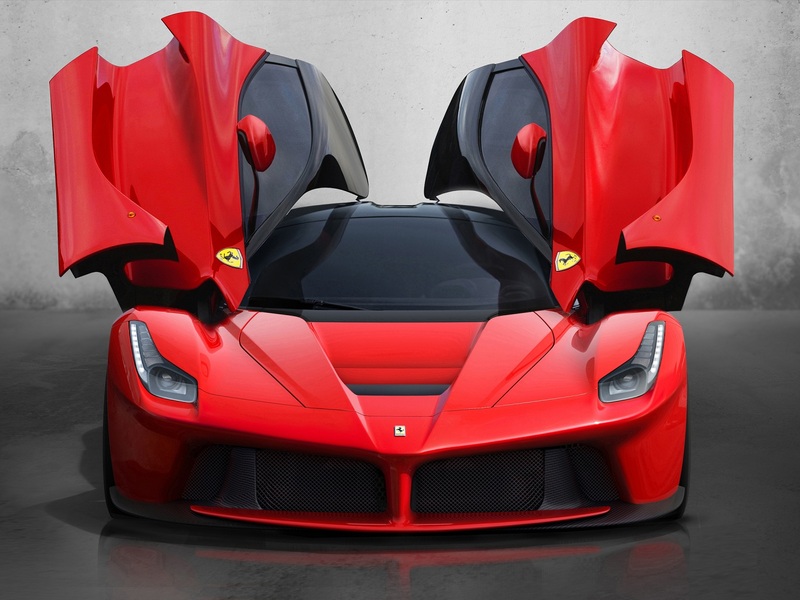 Ferrari fitted their new supercar with an active aerodynamics system (front and rear diffusers, guide vane on the underbody and rear spoiler) that generates down-force when needed without compromising the car’s overall drag coefficient. To help save weight they even made the seat fixed and will be shaped to the owner, but both the pedal box and steering wheel are adjustable. 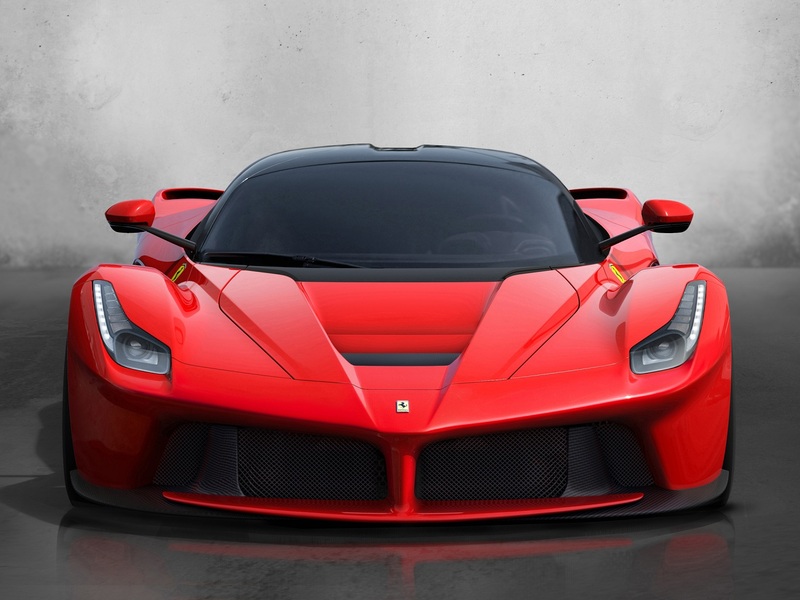 Production is limited to 499 vehicles. Unfortunately the look of the car isn't that spectacular. It's a Ferrari but there isn't anything really new and fantastic, it has too many details from other models of the Italian company. My guess is it isn't going to age well.